World Braille Day | Where It's AT. The Ability Tools Blog. Two hundred years ago, someone decided that what the world had to offer him and his disability wasn’t enough. So after putting in a lot of work, Louis Braille changed the world for all blind people. That is why today, and each year on January 4th, we celebrate his birthday as World Braille Day, bringing awareness to this incredible language he created and giving opportunity and inclusion to blind people everywhere. Less than four years ago, at the end of my sophomore year of high school, I started to learn Braille because it started to hurt to move my eyes at all or to use them for anything from walking in the halls to reading a textbook to watching TV. Of course, when this happened quickly and out of nowhere, I was nervous and stressed about what it might lead to, but I also knew that I still wanted to do all the things I had planned for my life, the most important of these being go to college and have a family. 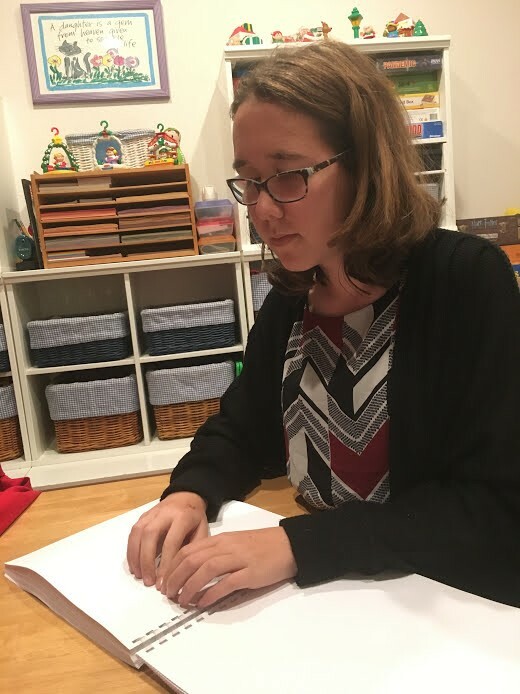 I realized I couldn’t do these things without help, and I was incredibly blessed when I realized I would still be able to read on my own thanks to Braille. I loved reading! And I knew I needed to read in college, of course, so I started learning Braille right away in hopes that I would be prepared. 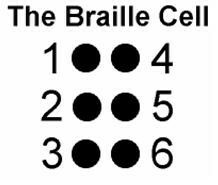 The Braille cell with six dots. I quickly learned that Braille was far more complicated than I expected. Each symbol is made up of what’s called a “cell”. Each cell is a group of six dots, in columns of 3. Each dot is labeled with a number; the dot in the upper left corner is one, then it moves down the column two and three, then the top right is four and then five and the bottom right is dot six. These six dots are used to make every letter, and every contraction. A contraction is when a group of letters is seen often enough together that Braille has an individual symbol for it. Some contractions are just the letter by themselves; the letter “L” by itself stands for the word like, the letter “W” stands for the word will, etc. There are also contractions that are groups of letters called short form words; the letters “gr” together stands for great, the letters “dcvg” stand for deceiving, etc. Dot 5 contractions are when a dot 5 is followed by a symbol creating a word; “dot 5 D” stands for the word day. There are also symbols for words or chunks of words that are completely different from letters; the word with is dots “2,3,4,5,6,” the chunk “sh” is dots “1,4,6”, etc. There are 300 of these contractions that Braille readers use while reading. Tatum reading a book in Braille in her home. I also learned how to type using a Perkins Brailler and a Braille Note so I could make flashcards, take notes in class, read books, and so much more. A Perkins Brailler is set up with 6 keys representing the six dots, and to type, the writer presses a combination of dots all at the same time to form the symbol you want. It looks very similar to a typewriter and punches the dots into paper (or index cards). A Braille Note is an electronic version of this that does not print, but displays what the writer types or downloads. It has either 16 or 32 cells at the top and it electronically raises the typed dots, and once the line is done the writer moves to another and it displays that line as well. This allows me to read almost any book I chose or take notes and print them in regular print so a professor can read it. Because of this amazing technology, I have been able to learn to read all over again. Now instead of being in terrible pain, I can enjoy reading and do it for all of my classes. Because of Braille, I am able to thrive in college, and just took my first semester of freshmen year with all of my articles, tests, worksheets, and finals completely in Braille. I am beyond thankful for this opportunity that has allowed me to regain control of my life and education in such little time. That is why this day means so much to me. 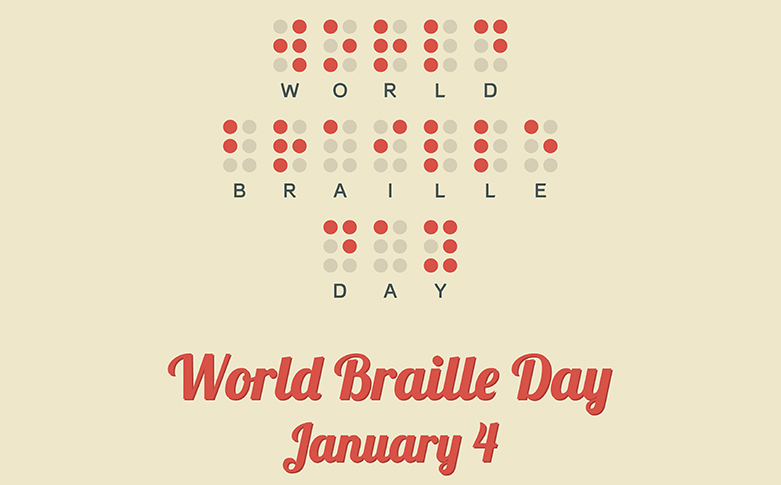 I hope you all have a very happy World Braille Day!